Entry: The entry to your home is the first impression visitors get of your home. Too often we forget how much impact this can have when decorating for the seasons. Halloween Display. Make the most of it by creating a simple display of Halloween figurines set on a small table covered with a black or orange tablecloth. The 4 to six-inch figurines are inexpensive enough even to use outside if you have sufficient room for a small table by your door. Inside, you can go with this same concept, also adding spooky lights and garlands available at dollar and discount stores. Animated Items. Animated Halloween figures can add instant festivity to a boring entry table. These figures can move, have sound, and some are even motion activated. A great way to make your entrance one to remember! With increasing popularity, these items are now appearing in dollar and discount stores. Living Room/Family Room: To dress up the rooms where your family spends the most time, use most of your Halloween decor ideas in these rooms. Figurine Display. Use your mantle, a wall shelf, or even your coffee table to display an assortment of inexpensive Halloween figurines. Mantles are generally overlooked until Christmas, but fireplaces are a great staging area for many seasonal displays. Halloween Curtain Tie-Backs. To add a spooky touch to your room, add a garland of skeleton heads as tie-backs to your curtains. These garlands are available at most dollar stores, and one garland can be cut in half to use on a pair of curtains, you can use another wreath across the top for a little added Halloween fun. Candy Bowls. Halloween is all about candy. Display candy corn and other themed candy in bowls for a decorative and tasty touch. Dining Room: Turn any October meal into a Halloween party with fun and expected seasonal touches. Halloween Napkin Rings. Turn any napkin ring into a Halloween hit by using hot glue to attach the spiders from cheap Halloween rings to a napkin ring. 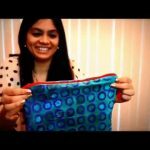 These are very inexpensive and generally sold in bags at discount and dollar stores. These rings are a minimal investment for a unique decorative touch. Placemats and Tablecloths. Go ahead and invest in either an orange or black tablecloth or placemats. This simple change adds instant Halloween charm to any table. Spooky Centerpiece. Add a touch of the unexpected with a large glass bowl filled with tiny skulls. These can be purchased either in a bag or attached to a garland that you should coil inside the container. Outside: Only the Christmas season surpasses Halloween when it comes to outside decorations. Be the talk of the neighborhood with decorations that go beyond the predictable jack-o-lanterns. Tombstones. Turn your front yard into a graveyard with tombstones made from inexpensive foam board and a little paint. Thinner than the ones you can purchase in stores, you can personalize these for your family (pretty morbid), your favorite horror film characters, or with funny inscriptions. Animated Items. Add a little of the unexpected with animated Halloween items near your front door. These characters can move or speak, but remember that smaller children are often frightened by these. Since gaining popularity in recent years, these items are relatively inexpensive and available online and in most stores during the Halloween season. Window Dressings. Turn your windows into Halloween hallmarks with simple black poster board and a little creativity. Cut out designs of witches, ghosts, and other Halloween figures (pumpkin carving kits have excellent templates) from a full sheet of poster board. Tape the cloth over the inside of your windows, when you turn your lights on inside, they illuminate the cut out to show your spooky creations to passersby. 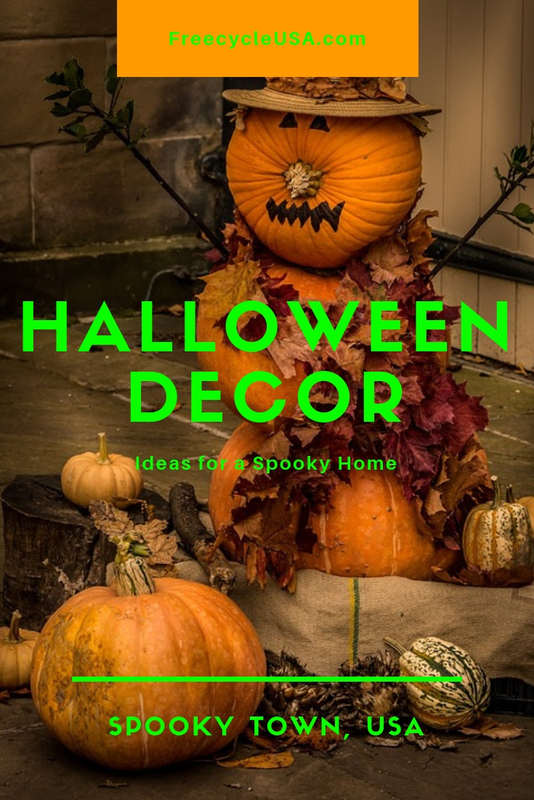 These ideas will get you started on your Halloween decorating, get creative and see what spooky surprises you can create. Do you want more Halloween decor ideas? Check out more amazing homemade Halloween Decor Items on Etsy. Have a safe and great Halloween!